A mother and son from Arizona tried to warn Apple about the eavesdropping FaceTime bug over a week ago. 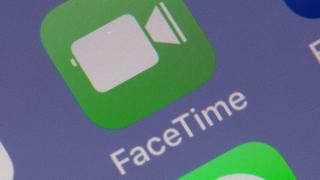 The flaw, which gained attention on Monday, relates to the company’s FaceTime chat function. Michele Thompson and her 14-year-old son made several attempts to warn the firm, but say they were mostly ignored. “Short of smoke signals, I was trying every method that someone could use to get a hold of someone at Apple,” Ms Thompson told the Wall Street Journal. Apple has not yet commented, other than to say it will push a fix out to users in the coming days. In the meantime, the company has disabled the group calling function of FaceTime. According to the Wall Street Journal, Ms Thompson, a lawyer, started contacting Apple on 20 January. On the 25, she posted a video on YouTube showing her and her son Grant demonstrating the flaw. Her efforts also included using Apple’s support system to file a bug report. “After several emails w/ Apple, they told me I could register as a developer to submit the bug report which I did (even though I’m the farthest thing from a developer),” she wrote. Apple, like many technology companies, has a “bug bounty” programme that pays people for finding new bugs in its products. Ms Thompson said she hoped her son would benefit. Kevin Beaumont, a security researcher, told the BBC that Apple is likely to deal with a large number of bug reports, which can take time to sort through and prioritise. “Many companies typically aim for 90 days to resolve reported security issues, and much of that time can be spent reaching the right people and setting the right priorities.